The simple brochure is perhaps the most enduring (and accessible) form of advertising for business of all sizes. 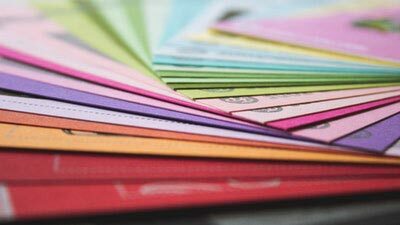 From huge corporations to small businesses and nonprofits, brochures offer a quick, easy way to grab customers' attention and detail all the information you need to know about a business's services, location, hours, and even background and history in a simple, folded pamphlet that anyone can grab and take with them. In addition to these benefits, being able to provide a translated brochure to clients who speak another language can give you a strong competitive advantage over your competition! When people know you value them enough to take that extra step, they will gladly patronize your businesses—and tell their friends! In addition to translation, Translation Services USA can also offer internationalization services to help you reach a global market. If you're considering opening a location overseas or targeting clients in another country by mail, translation for brochures is just the first step in the process. Your marketing materials must be translated by a translator in your target market, who understands local culture, customs, traditions, and even superstitions in order to make sure and avoid costly errors, oversights, and embarrassing mistakes. In addition, we have translators and designers on staff with experience in desktop publishing and design software (including Adobe Indesign, Quark Xpress, and many others) who can not only translate a brochure, but properly work the completed translation into your layout for you. Contact us now for a free brochure translation quote!